Register Now Access to all music articles for 60 days. The Romantic period in opera, music, literature and art lasted more than a century overall, from around 1790 – the year after the French Revolution – to 1910, four years before the outbreak of the First World War. In this context, the meaning of ‘romantic’ went far beyond the usual amorous connotations: it stood for the imaginative, the exotic, the fantastic, even the occult. This new ethos drew a line under the Classical era, which emphasized restraint and discipline, balance, good taste and expressiveness, but not the sort that spilled over into sentimentality or blurred too far the edges of musical convention. In time, Romantic music was revealed as a quantum leap away from the set-piece formulae of Baroque. It was, in its way, a metaphor for the French Revolution that caused a fundamental and ultimately fatal crack in the armour of absolute kingship in Europe. It was not simply a matter of exchanging a monarchy for a republic. The Revolution let loose new social and political ideas, which included the notion that a country belonged not to its king, but to its people. The slogan of the Revolution, ‘liberté, egalité, fraternité’, and its defiant nationalistic anthem the ‘Marseillaise’ were only the start of an upheaval that made once-seditious ideas mainstream and one-time heresies respectable. Opera reflected the new situation, in which a particular bête-noire was the privilege once reserved for royalty and aristocracy. The ancient Greek and Roman myths, which now lost favour, had been the staple of Baroque opera plots; they were now identified with the unfair social advantages monarchs and nobles had once enjoyed and the exploitation of the peasantry for which their supremacy stood. Kings, queens, emperors and princes ceased to be the heroes or heroines of opera. Their place was taken by stories featuring ordinary people, mainly young men who had sacrificed themselves during the Revolution. Several such men became the subjects of operas, such as Le siège de Lille (‘The Siege of Lille’, 1792) by Rodolphe Kreutzer (1766–1831), which was staged a month after the siege in question was lifted in October of that year. The new heroes also included victims of political and other persecution and this produced a new genre, the ‘rescue opera’. In rescue opera, the plot included the saving of a hero, heroine or a persecuted group from prison or some other dangerous threat. The composer Henri-Monton Berton (1767–1844), for one, lost no time in getting the first of these rescue operas into production, with his Les rigeurs du cloître (‘The Rigours of the Cloister’, 1790). The victims in this opera were monks persecuted by a vengeful authority bent on destroying their way of life. To read the full article please either login or register . Classical, Rock, Blues, Jazz, Country and more. Flame Tree has been making encyclopaedias and guides about music for over 20 years. Now Flame Tree Pro brings together a huge canon of carefully curated information on genres, styles, artists and instruments. It's a perfect tool for study, and entertaining too, a great companion to our music books. 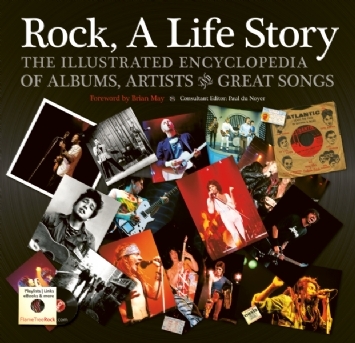 The ultimate story of a life of rock music, from the 1950s to the present day. 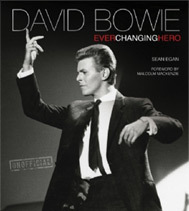 Fantastic new, unofficial biography covers his life, music, art and movies, with a sweep of incredible photographs. Copyright © 2019, Flame Tree Publishing. All rights reserved.